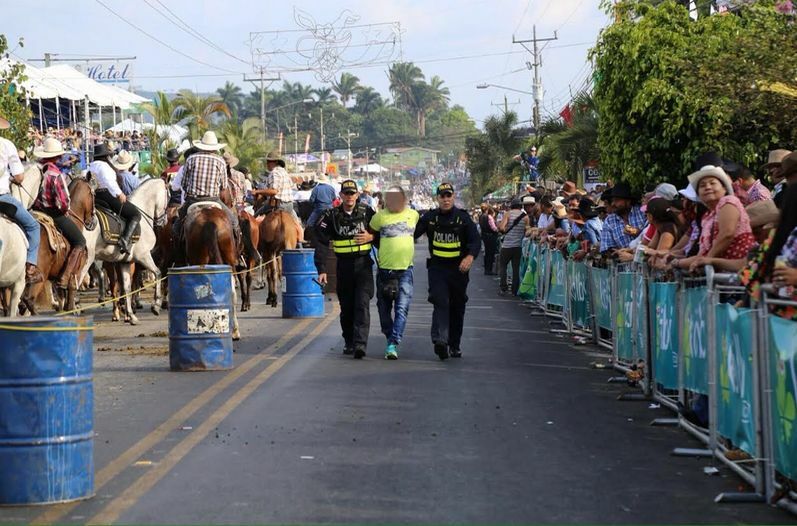 QCOSTARICA = The tradition of Palmares partying, the largest of the summer fairs, kicked off Thursday with the Tope (horse parade), music, rides and drunk drivers and hooligans. 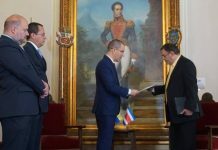 In the first day alone, the Fuerza Pública (police), report the arrest of 45 people, about half (20) for disorderly conduct, that is, people involved in fights; 11 wanted by authorities for committing thefts and robberies in San Jose; and the rest for other incidents. 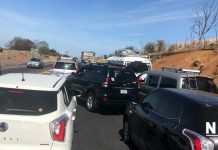 The Policia de Transito (traffic police) report issuing 90 traffic fines, two drivers arrested for drunk driving (behind the wheel over the legal limit), which includes a trip to the criminal courts. The Cruz Roja (Red Cross) reports attending 41 people (24 women and 17 men) for various medical problems. On duty during the Palmares festival that ends at the end of the month are uniformed officers of the Fuerza Publica; undercover agents of the Dirección de Inteligencia Policial (Dipol) – Intelligence; drug enforcement police; and, immigration officials, among others.